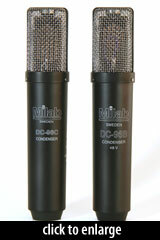 The DC-96B is the second-generation design of the DC-96, originally produced in 1967 by Pearl Microphone Lab. 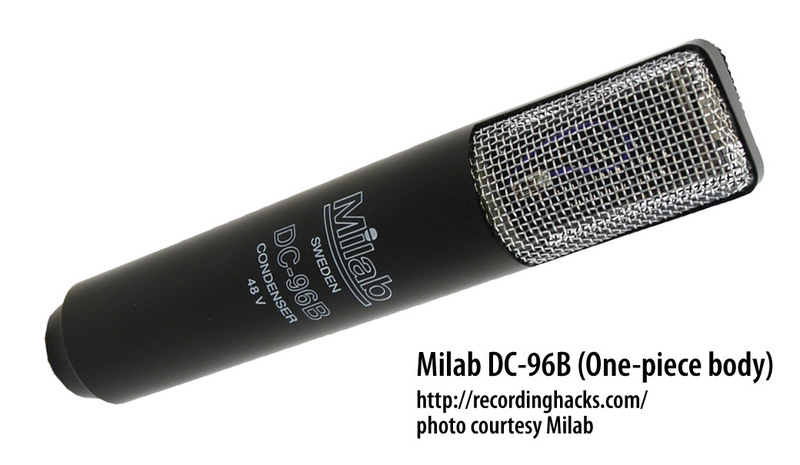 The ‘B’ revision, like the original, is a transformer-coupled FET condenser microphone with Milab’s Model 2700 rectangular diaphragm capsule. The capsule is shockmounted within the single-layer headbasket. The capsule’s outside dimensions are 19x36mm. 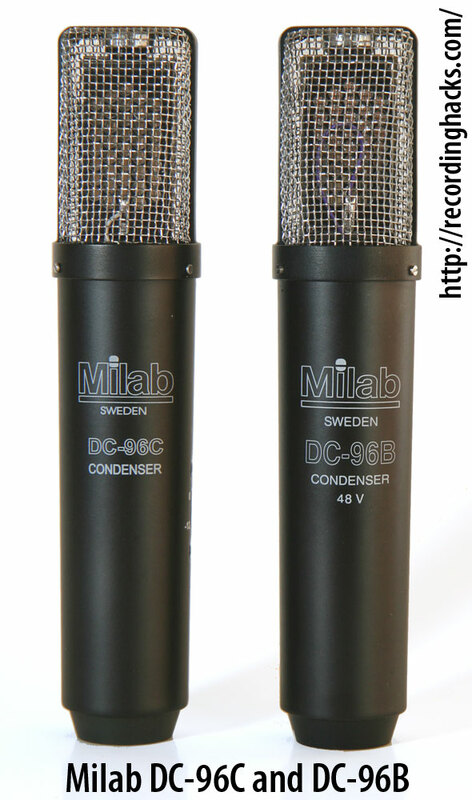 All Model 2700 capsules are dual-diaphragm, even in Cardioid microphones. The output transformer is manufactured in Sweden to Milab’s original design specifications. The mic’s 27mm diameter body is made of solid brass. The grille is made of a single layer of metal mesh. The current production DC-96B uses a two-piece body that was developed for and introduced with the DC-196. Previously the DC-96B had a one-piece body (pictured at right). The microphone exhibits excellent Cardioid pattern control, with an extremely consistent Cardioid pickup pattern through 2kHz, and only slight changes at higher frequencies: a slight narrowing at 10kHz, and the formation of a small rear lobe of sensitivity (+ ~10dB) at 5kHz and above. 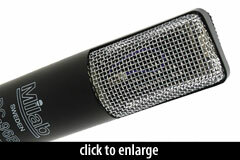 The mic is covered by a lifetime warranty for the original purchaser. It ships in a padded leatherette box and includes a stand mount.